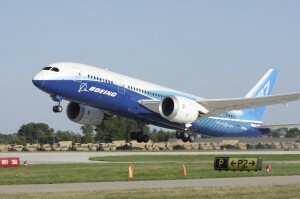 UK Export Finance (UKEF), the country’s export credit agency, is providing a guarantee for a US$125mn loan from Citi to El Al Israel Airlines to finance their purchase of one Rolls-Royce-powered Boeing 787 aircraft. The deal is part of Rolls-Royce’s contract to supply engines for 16 such aircraft for the Israeli airline. According to UK international trade secretary Liam Fox, this contract is “the largest single export deal the UK has had with Israel, and a marker of the strength of the trade relationship between the two countries”. “British goods remain in global demand – this is the first time that UKEF has supported an aircraft delivery to El Al and clearly shows the value of support from the UK’s export credit agency to the UK’s aerospace engineering sector,” says Fox. This is the sixth aircraft to be delivered as part of the contract. UKEF is considering extending its support to cover future deliveries of Rolls-Royce-powered Boeing aircraft to El Al. The announcement comes days after the UK government launched its new export strategy, which lays the foundation for how the government plans to support exporters in the years ahead. The strategy sets out the government’s ambition to increase exports as a proportion of GDP and to produce “more tailored support” to UK companies. Key elements of this support will be peer-to-peer learning to encourage more businesses to export; the development of the department for international trade (DIT)’s website into a “single digital platform” for practical advice and assistance on exporting; and the creation of an online tool to enable UK businesses to easily connect to overseas buyers, markets and other UK exporters. The response from the UK trade community has been mixed, with one source telling GTR that the new strategy is a sign that the government has acknowledged that its lack of communication forms part of its shortcomings and is simply “passing the buck” on to UK companies themselves to engage in peer-to-peer learning. The plan comes into play immediately and with no fixed deadline. “We are considering next steps in terms of an implementation plan and its governance, including monitoring and tracking progress against each of the measures,” a spokesperson from the DIT told GTR this week. The post UKEF backs country’s largest export deal with Israel appeared first on Global Trade Review (GTR).